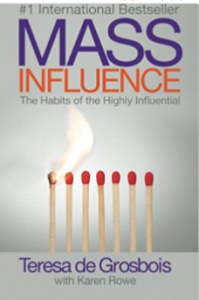 If you want to create mass influence to promote your book, you’re in the right place. Influence is a skill. Listen as influence guru, Teresa de Grosbois take us on a journey to unveil the key habits of success. Teresa de Grosbois is a 4x Bestselling Author and an International Speaker sought by entrepreneurs and large corporations wanting to better understand how local word of mouth can suddenly turn into an epidemic. Specializing in the topics of influence and success, Teresa has a proven track-record in understanding word of mouth epidemics having taken three books to best-seller status in only 8 months. Her book Mass Influence hit #1 international bestseller status in North America and Europe on the same day it launched. Teresa teaches business and marketing courses around the globe, including teaching courses to start-up entrepreneurs in developing countries. As the Chair of the Evolutionary Business Council, Teresa leads an international, invitation-only council of speakers and influencers dedicated to teaching the principles of success. Teresa is also the co-founder of the Global Influence Summit. Listen to this week’s interview and discover how to get you and your book noticed in a crowded marketplace. 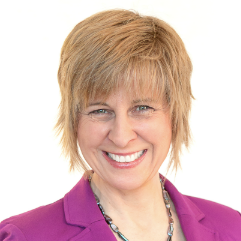 Here’s how to connect with Teresa to find out more about her 30-day mass influence challenge as well as her coaching and speaking services.